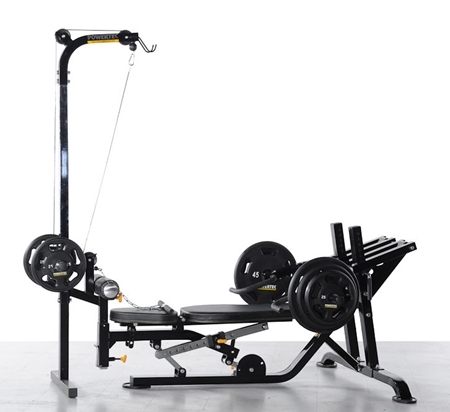 An excellent lat machine that lets the user move between the 48-inch lat bar and the 20-inch seated row bar effortlessly for a holistic lat workout. 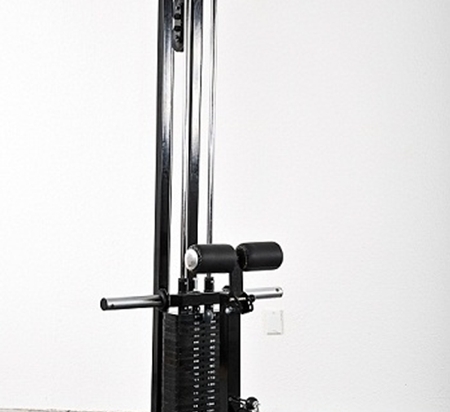 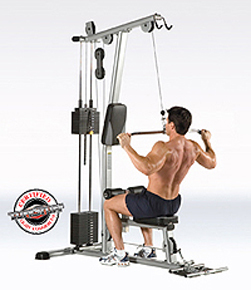 A free-weight lat machine for focusing on upper body muscles for strength, endurance and muscle mass. 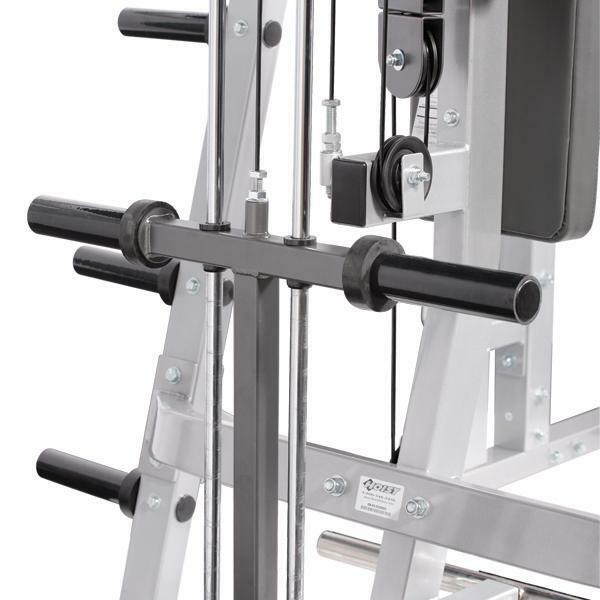 Great for performing lat pull-downs, tricep press-downs and seated rows. 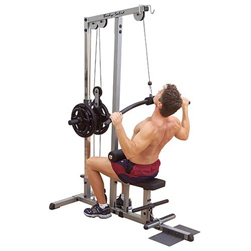 Lat Pulldown / Low Row Plate Loaded Option for HF4985 Half Cage.